Patties Foods are a long time sponsor of RC aircraft flying events conducted by the Bairnsdale And District Model Aero Club. Their support is greatly appreciated. Patties in Bairnsdale produce the famous Four'N Twenty range of pies, Herbert Adams slow cooked pies, Nana's crumble cakes and Chefs Pride deserts. In 1966, after working at their local bakery, Peter and Annie Rijs bought a small cake shop named Patties in Lakes Entrance, Victoria. Wanting to offer their customers more than just sweet treats, they introduced freshly baked bread rolls and delicious hot pies to the menu. The rest, as they say, is history. It wasn’t long before their business began to boom and bite by bite, the Patties legend began to grow. 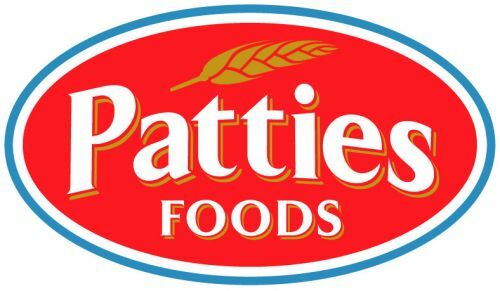 Thanks to it's famous pies, pastries and party food, Patties has now become a household name and their great range of foods are distributed Australia wide.